Ah… Christmas time! The carolers are singing, “It’s the most wonderful time of the year,” and for most of us it is. There are many things about the Christmas season that makes it wonderful, such as a beautifully decorated tree, colorfully wrapped presents and good food. However, the most wonderful time of all is when family and friends gather for a warm time of fellowship. It all adds up to a joyous time of celebration. In spite of all the jubilation surrounding them many feel that they have very little to celebrate; a divorced Dad separated from the children he treasures, that heartbroken person who’s lost a loved one and the holidays only serves as a sad reminder of their grief. Still another set alone in a hospital or nursing home. Many are homeless without family or hope. The joy that Christmas holds is for everyone. God gave His Son to the whole world, not to just a few who are more fortunate. Please, let’s make Christmas a wonderful time for those who really need some joy in their lives. Consider making a little extra effort to touch someone who desperately needs to know that somebody cares. What greater way to show what Christmas is truly all about? What better way of expressing our gratitude to our Heavenly Father giving his Son, Jesus, than by giving of ourselves to others? Yes, Christmas is a most wonderful time. Let’s spread some of that wonderfulness to someone who’s hurting during this holiday season. 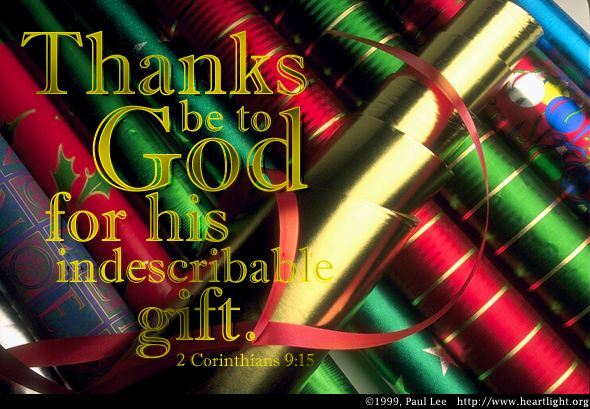 May God bless you with a Christ-centered Christmas!